DANCERS! How great was it to see our beloved Marie Habib perform this weekend?! We've missed her SO MUCH!! Want an opportunity to dance with her again? Of course you do. We'd love to help you find that perfect piece to pull your costume together. Got an event coming up that your want to make extra special? 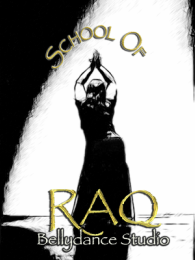 School of Raq would be delighted to help you celebrate your special occasion! Contact us for details on our workshop packages!